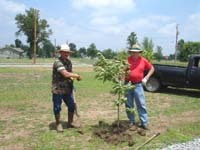 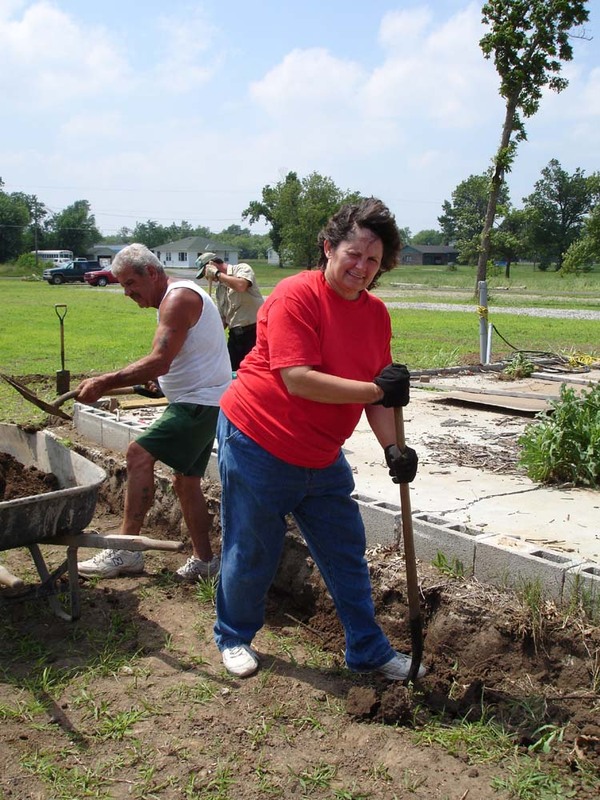 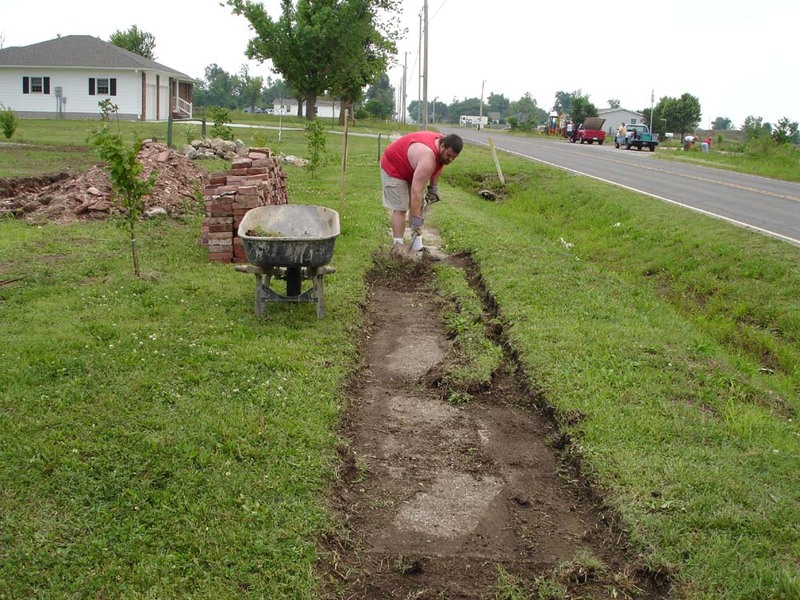 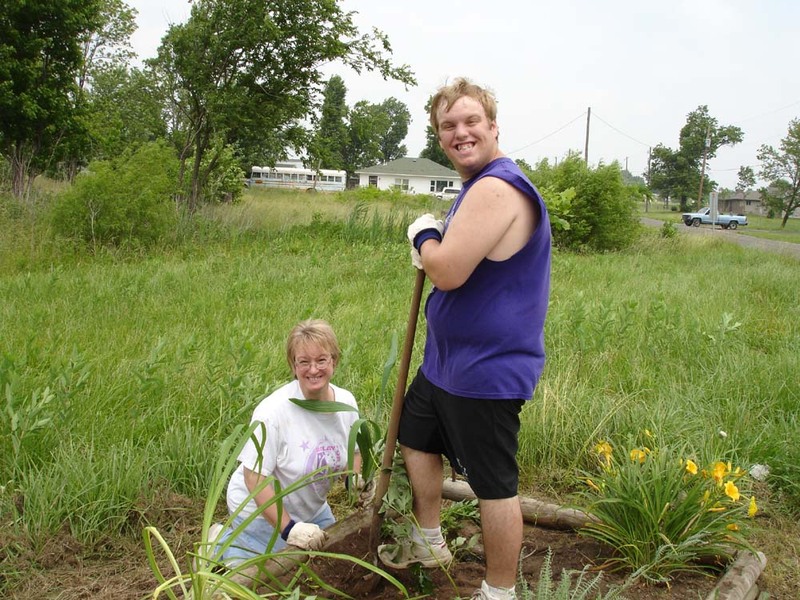 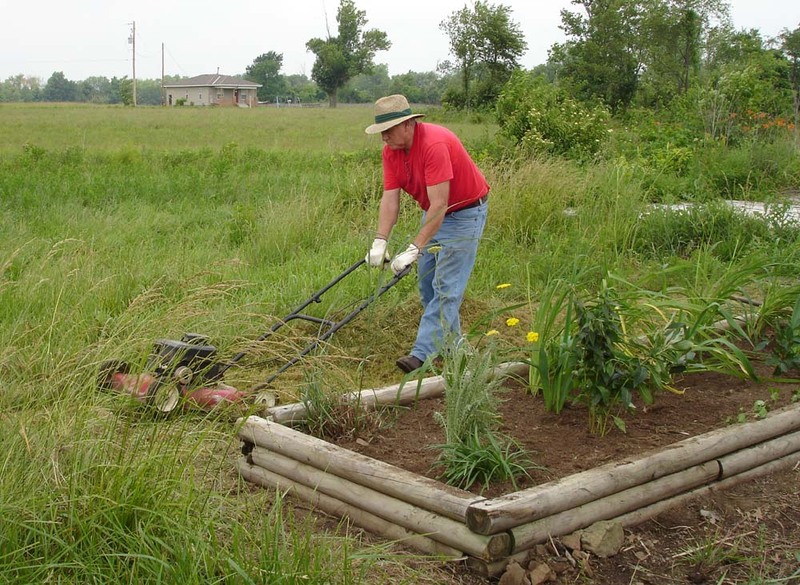 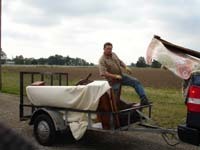 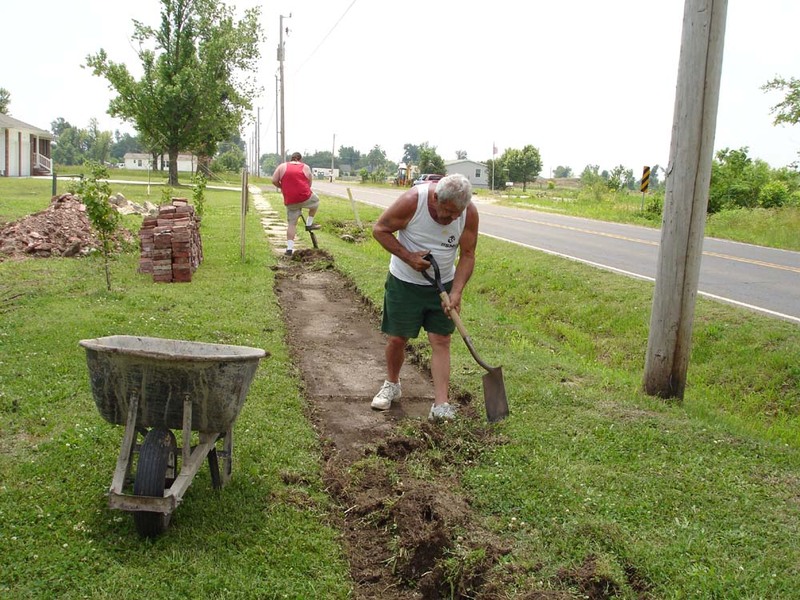 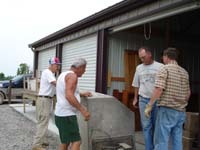 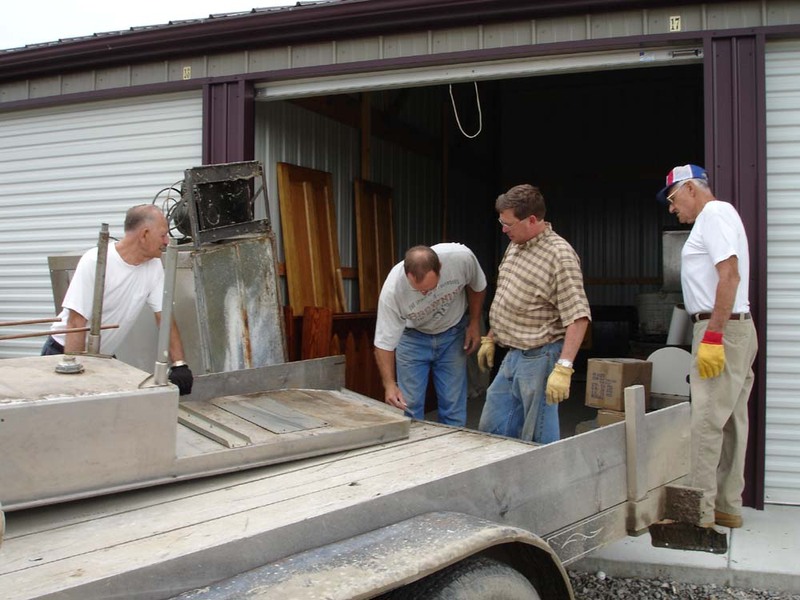 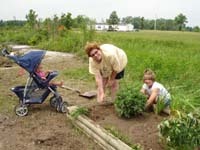 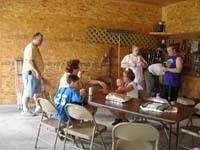 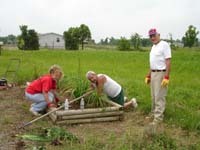 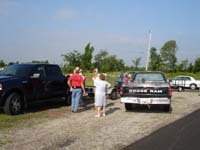 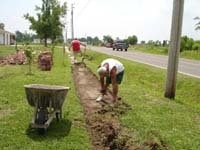 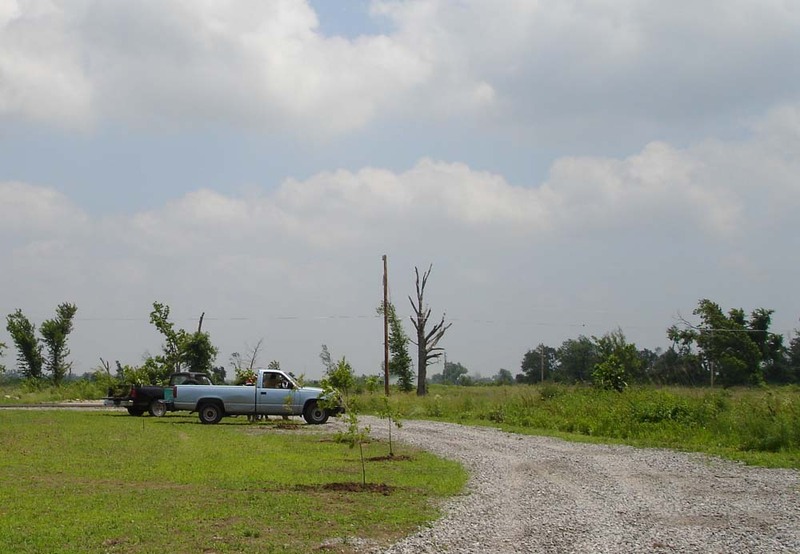 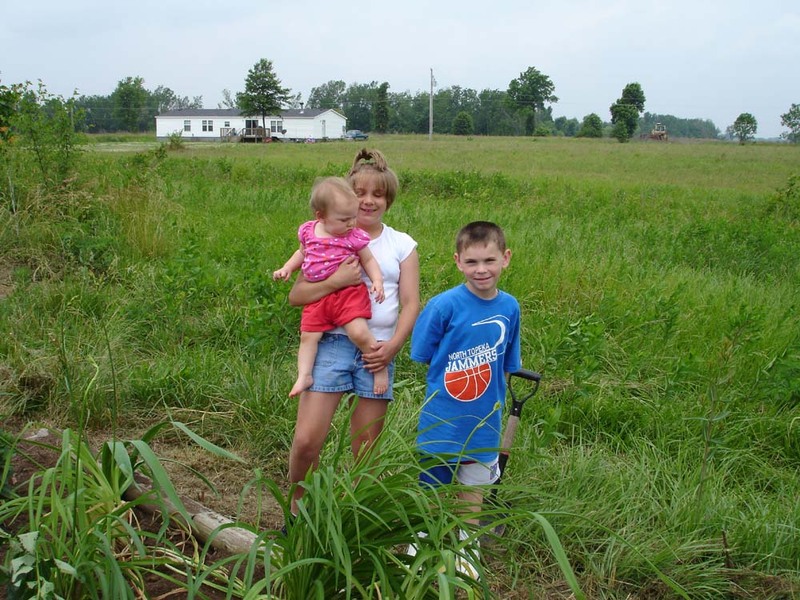 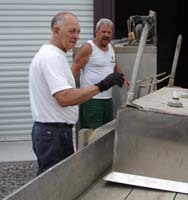 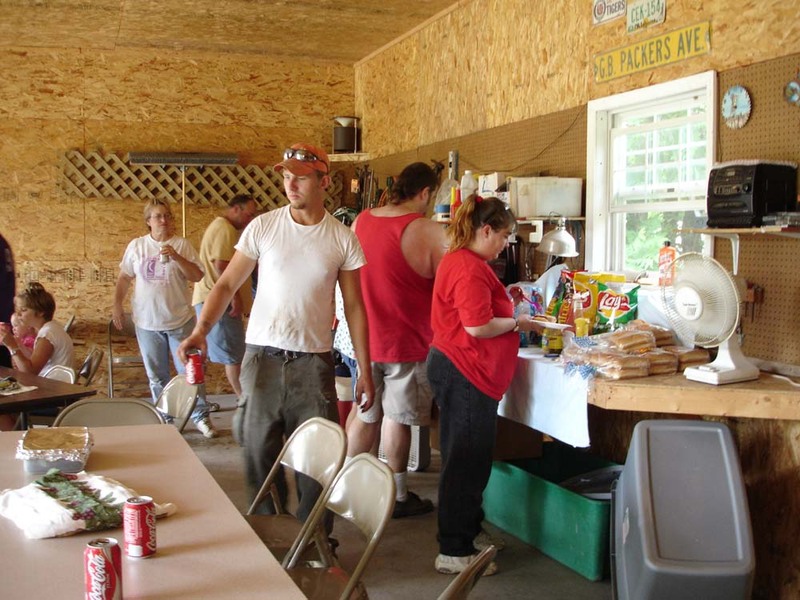 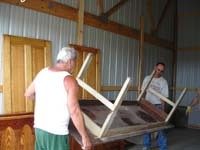 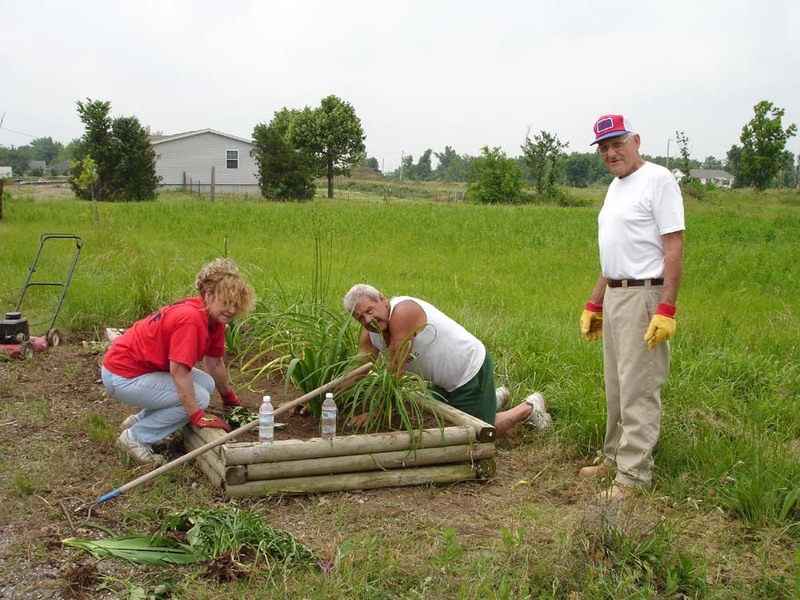 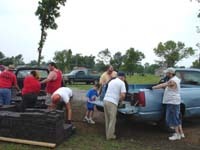 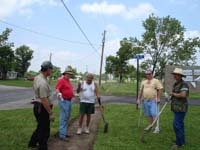 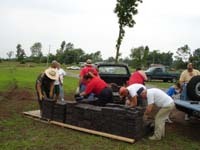 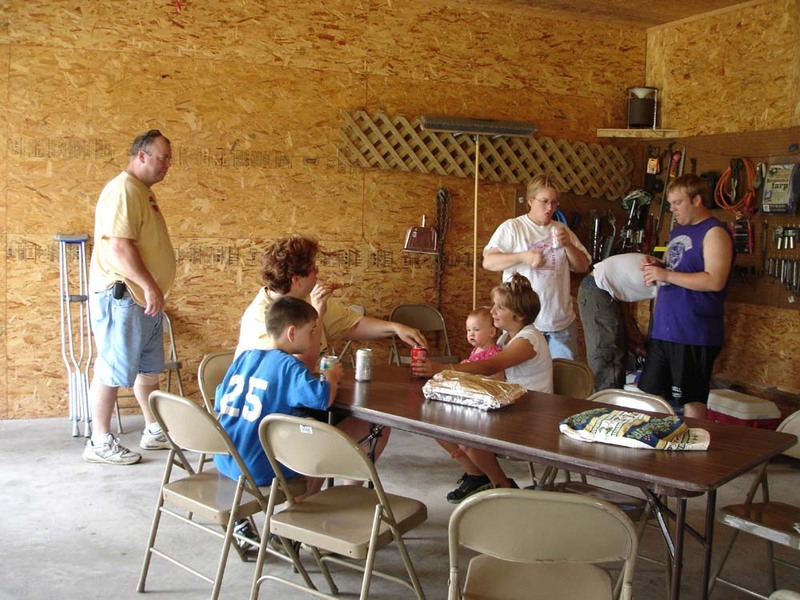 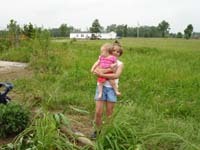 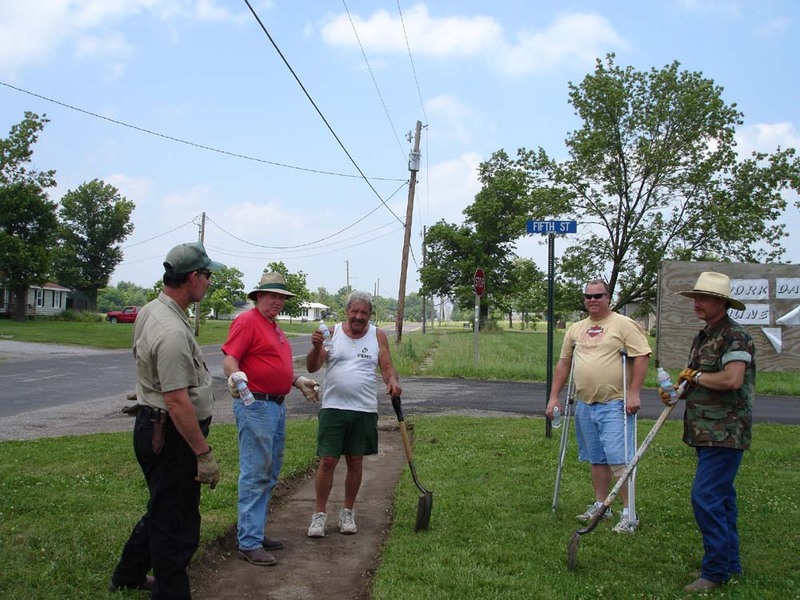 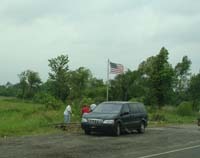 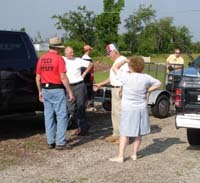 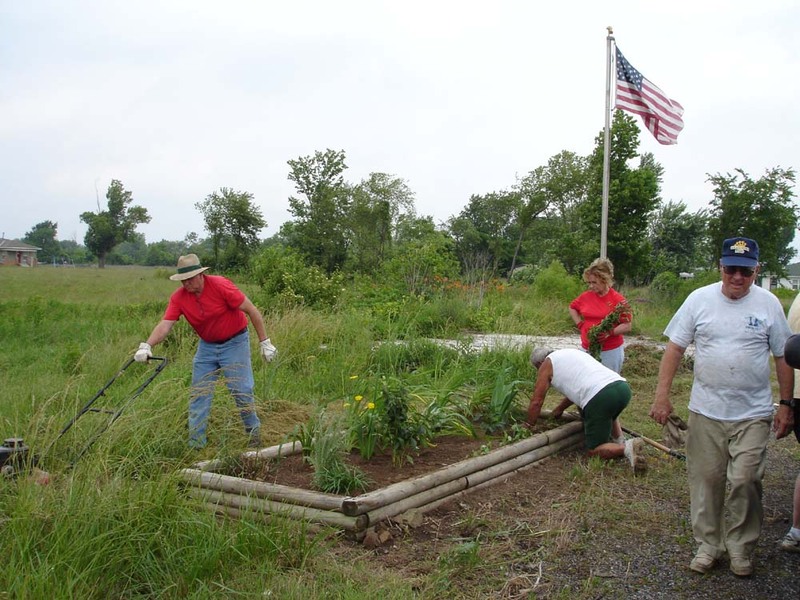 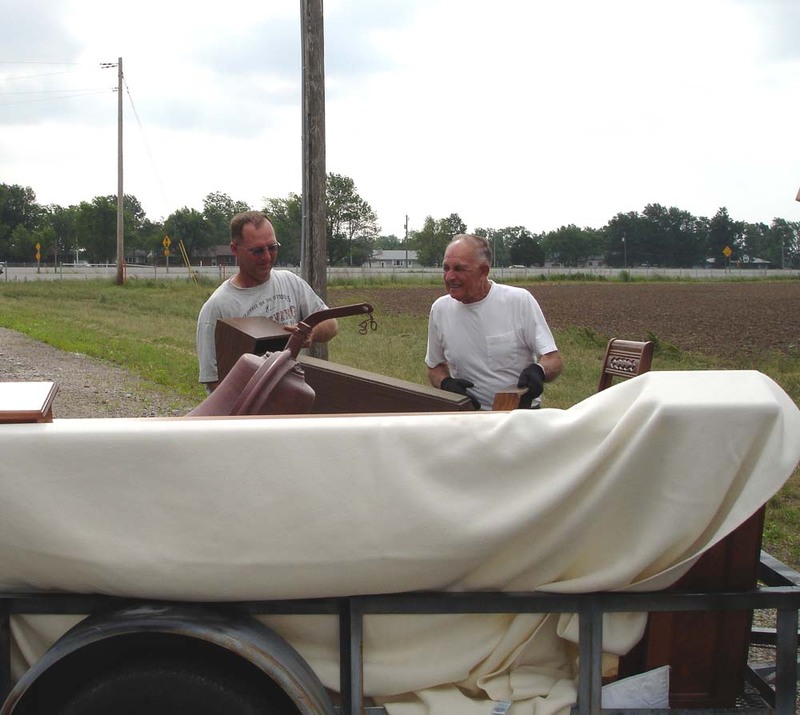 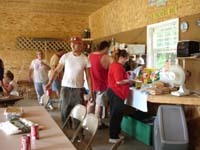 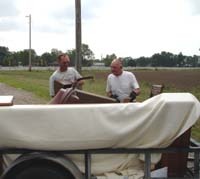 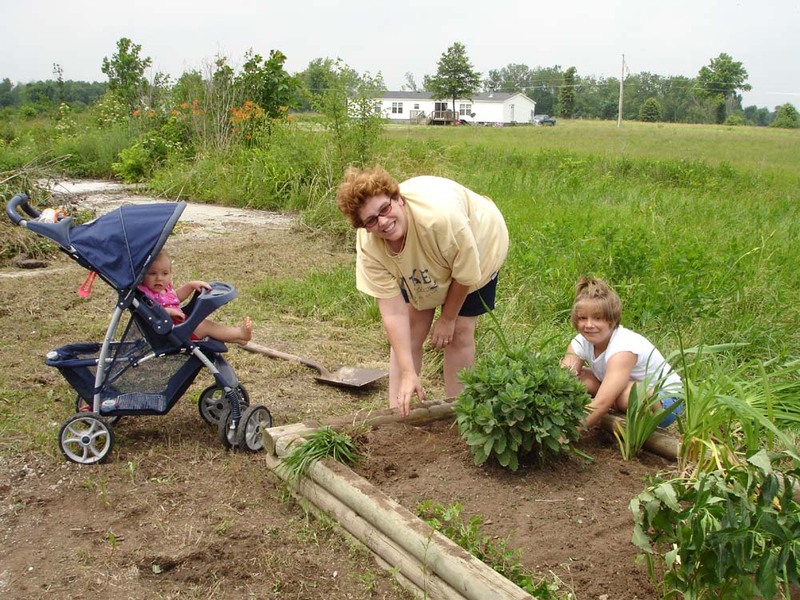 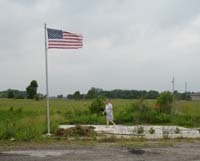 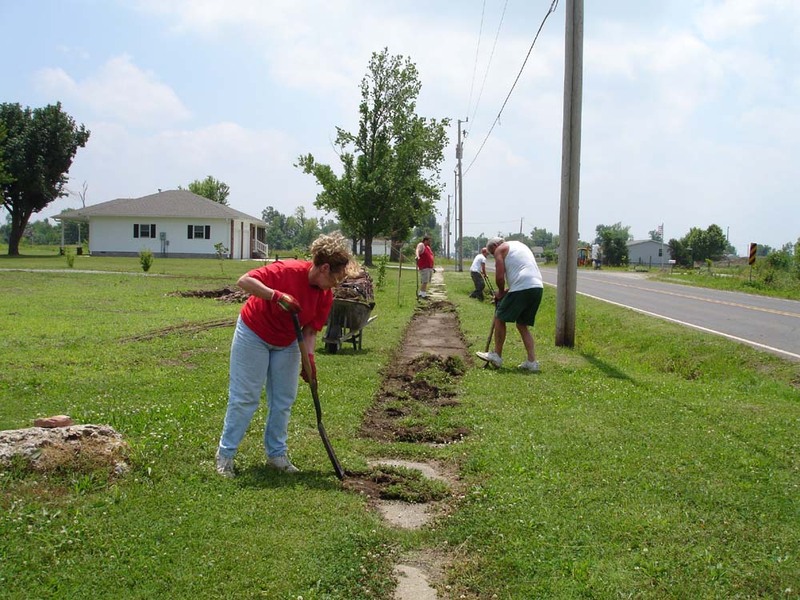 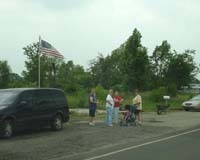 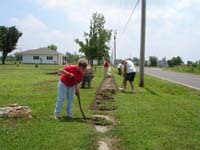 A work day was held June 4 to take care of several projects. 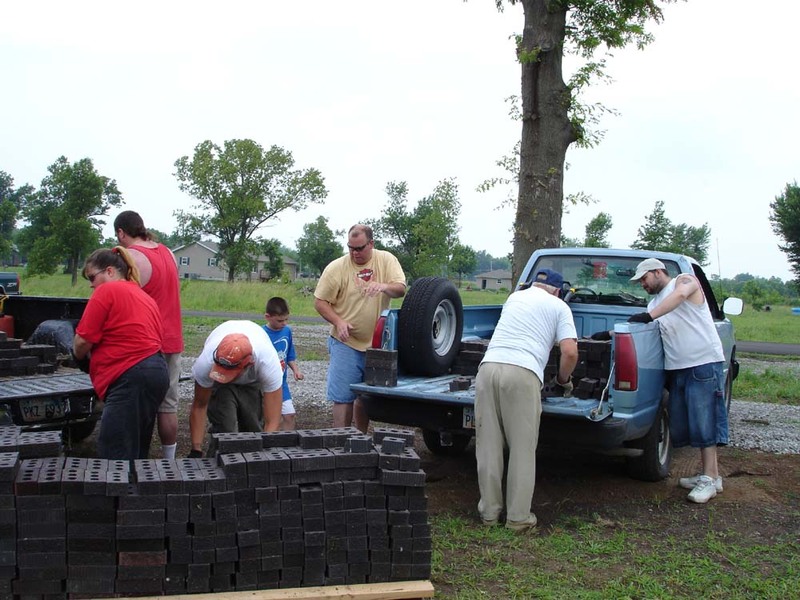 Bricks and concrete blocks were moved from several locations to the park. 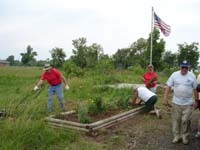 The flower beds at the old post office location were cleaned out and replanted. 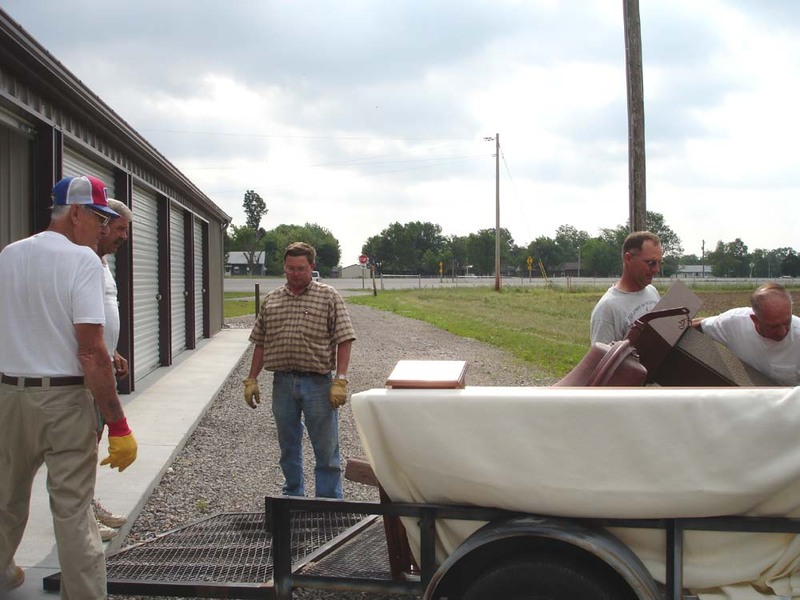 Items stored at Ashbacher’s Construction Building were moved to a storage unit at Wilbert’s Storage. Footings were dug for future bathroom facility. 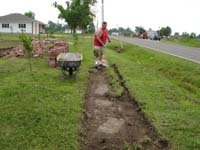 The historic sidewalk at the front of the park was cleaned and brought back to it's original 3' width. 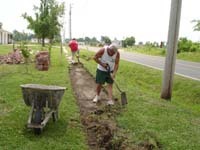 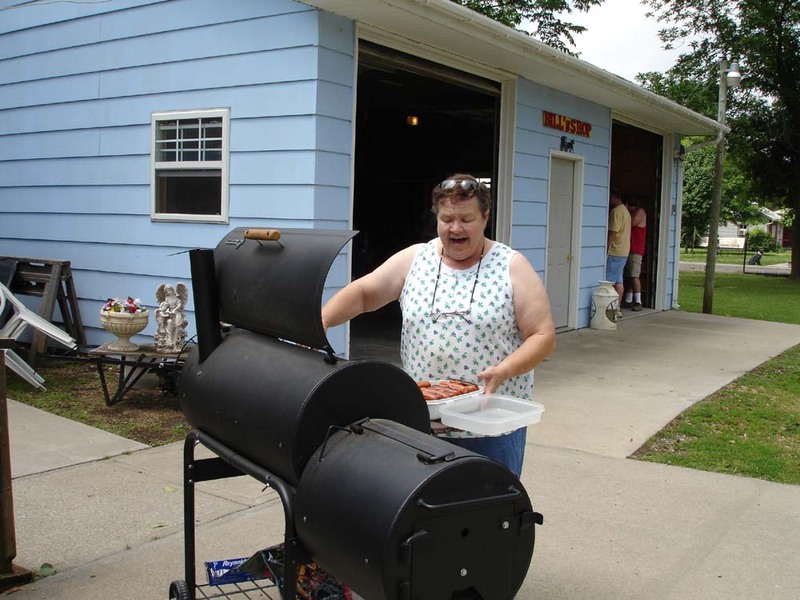 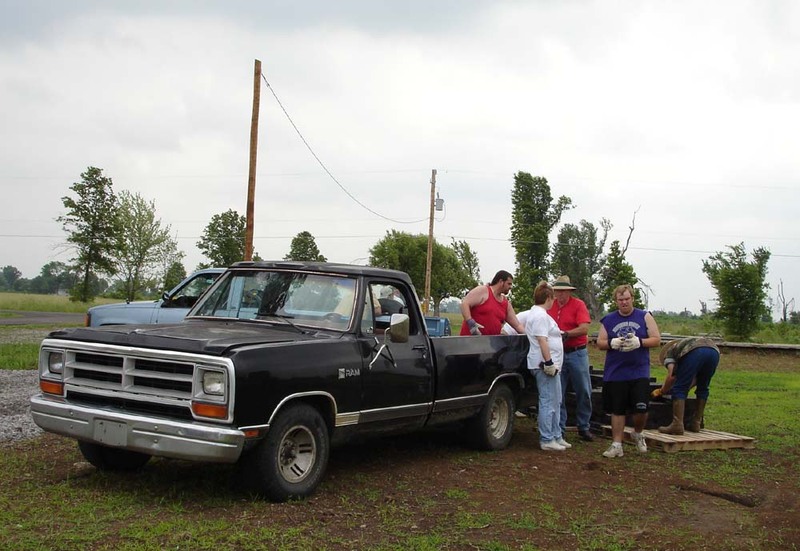 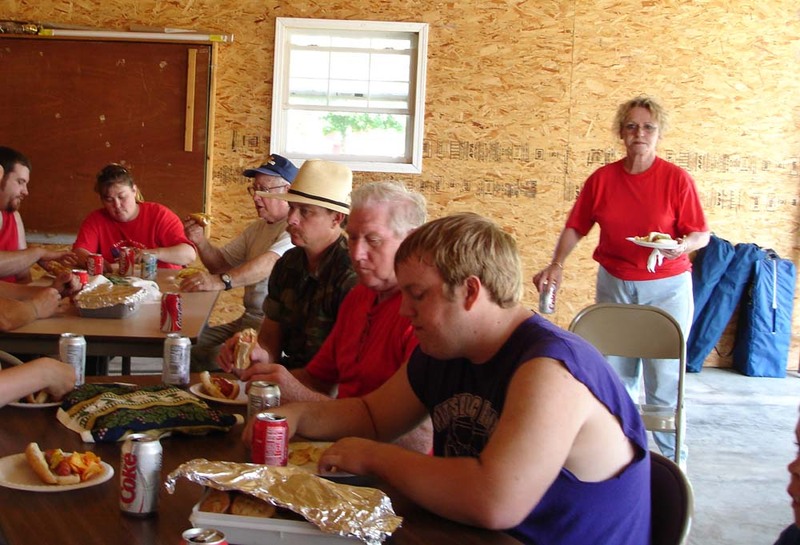 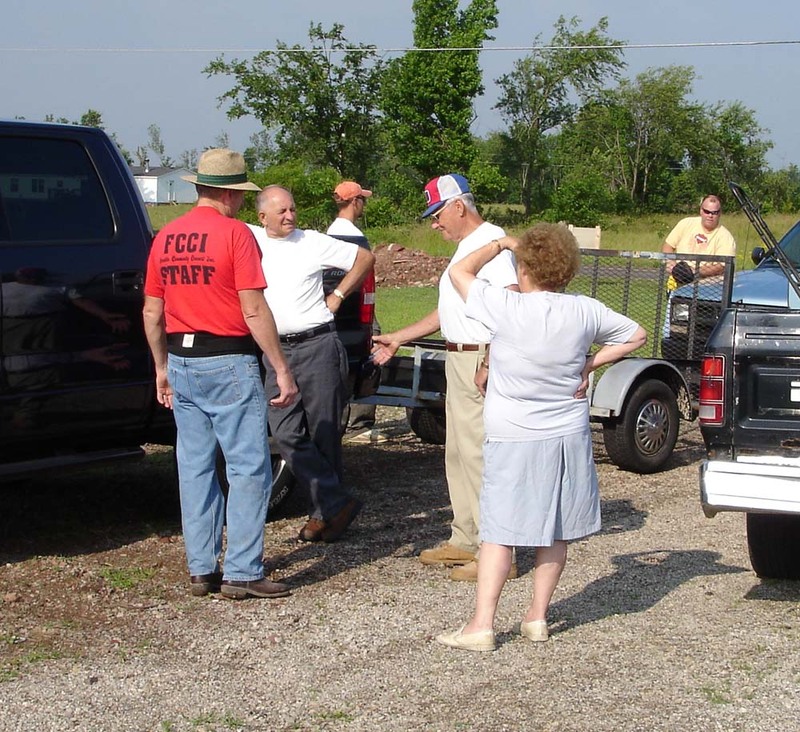 Workers included Ray Hamblin, Melvin Patrick, John Nepote, Henry Ashbacher, Craig Stokes, Norine Laird, Veda and Butch Maxwell, Susan Cole and Den, Jerry and Tammy Wayman and children, Community Service Workers, Phyllis and Scotty Bitner, Mike and David Blessant. 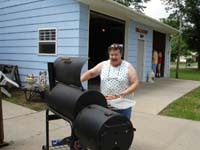 Lunch was prepared by Dianna Morrison.